Roger Nelson is an art historian and independent curator, and a Postdoctoral Fellow at Nanyang Technological University, Singapore. 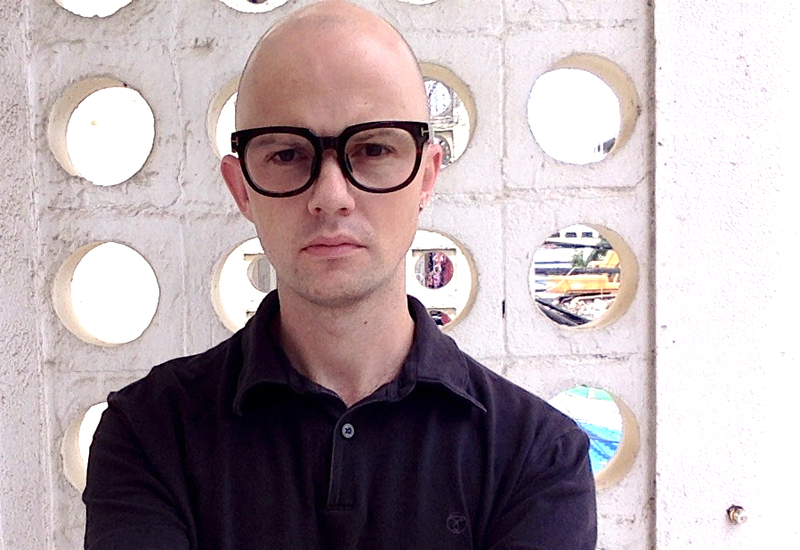 He received his PhD from the University of Melbourne in 2017, with his thesis titled “Modernity and Contemporaneity in ‘Cambodian Arts’ After Independence.” Roger’s research approaches modern and contemporary arts of Southeast Asia from interdisciplinary perspectives, grounded in the historical, and with a particular focus on Cambodia and Laos as points of intersection. He is co-founding co-editor of Southeast of Now: Directions in Contemporary and Modern Art in Asia, a peer-reviewed scholarly journal published by NUS Press at the National University of Singapore. He is also co-convenor of Gender in Southeast Asian Art Histories, an international symposium at the University of Sydney, held in October 2017. From 2015-16, Roger was a participating scholar in Ambitious Alignments: New Histories of Southeast Asian Art, a cross-regional research initiative funded by the Getty Foundation’s “Connection Art Histories” program. He has contributed essays to scholarly journals includingContemporaneity: Historical Presence in Visual Culture; Stedelijk Studies; ABE Journal: Architecture Beyond Europe; and Udaya: Journal of Khmer Studies. He has also written for specialist art magazines including ArtAsiaPacific, as well as several books and numerous exhibition catalogues. He has organized exhibitions, lectures, and other curatorial projects in Australia, Cambodia, Singapore, Thailand, and Vietnam, including most recently People, Money Ghosts (Movement as Metaphor) at the Jim Thompson Art Center, Bangkok, 2017. Annie: How did you end up in Phnom Penh, and how did you get involved in the arts scene there? Roger: I ended up living in Phnom Penh by accident. I was traveling a lot in Southeast Asia. I was reading a lot about Southeast Asian modern art history, and I was doing this with half a mind towards doing some research in that area, and I’d visiting Phnom Penh three times, and I liked it here, and so I applied for a residency through an Australian organisation called Asia Link, which used to fund a lot of exchange in the arts between Australia and Asia, and so I found myself in Phnom Penh doing this curatorial residency, funded by Asia Link, in the beginning of 2012, and I liked it, and I just stayed on. So I spent the next year staying on, learning Khmer, and preparing myself to do my PhD, which followed immediately after that. So during the PhD I was backwards and forwards a fair bit with Australia, but I haven’t had a home anywhere apart from Phnom Penh for about six years now. The PhD began looking entirely, solely really, at contemporary art, and finished looking mostly at modern art, so the arts before 1975. The last few years I’ve had a kind of dual identity, on the one hand as a researcher guy, working on my PhD, and on the other hand, working as a curator organising exhibitions and events and so on, but also helping people out with stuff they needed, because I found that a useful way to get to know people and to learn from them – writing articles, proofreading the English of subtitles, offering feedback or advice to people asking questions on draft cuts or draft edits of videos or other artworks etc. So I guess there are two roles, a curator, but also an informal, or sometimes formal critic sounding board, and researcher, have gone hand in hand somehow for the last few years, for better or for worse. Annie: You have invested quite a lot of time being in Phnom Penh. Do you feel that living there, learning the language, forging good relationships and friendships with a lot of the artists, were important to be able to play your role? One way in which the artists tend to deal with visits is that, if somebody comes for more than a couple of days – and often people do really only come for one or two days, it’s quite surprising, especially curators – but if people come for more than that time, and if people seem to be really genuine and coming from a good place, and really interested, really wanting to help, you know, coming from a place of sincerity, then often what happens is that they make fast friends with the artists, and the artists will take people out for meals, or drinks and so on, and form this sort of fast friendship. There’s been such an increase in the number of people, especially curators, that have been coming to do research, I think the artists have gotten really good at making fast friends with people and forming a personal relationship in this way, and that maybe now it’s a funny situation that artists are better at doing that than they are sitting down and being able to articulate themselves in a serious way, over the course of an hour’s interview. They’re much better at making friends over the course of a three-hour dinner than they are talking about their work in a short time or pressured time like that. That could be a number of factors, including the personalities of people, of course, but I wonder if that’s perhaps partly the product of having me and a few other curators and researchers around who have really based our practice in being friends and having longer-term relationships with people. It becomes harder and harder for me to avoid the fact that artists here on the whole, and not just artists, but the wider ecology as well, as a whole, is different from other places that I spent time in Southeast Asia, in the sense that people really don’t read much here, and people really don’t have a habit of having long conversations about purely abstract, or intellectual, or philosophical, or art-historical kinds of questions. I don’t want to get into why that might be in the case, sort of historical reasons or contemporary reasons, but it’s hard to avoid that fact that there’s only really one or two people in the arts scene, Cambodians, who, I know well, who will spend a lot of time reading, because they think it’s a worthwhile way for them to spend that time. That’s made it especially helpful for me to have these long-term relationships or friendships with people, people aren’t necessarily thinking in the same way that I am as a curator or researcher, or that other curators or researchers are. They’re not necessarily able to respond quickly and agilely to questions, they often take more time to do that, or it has to come about through a different kind of process. Annie: What are a couple of examples, in the period that you were there, that you thought were key performance works that have come out of that scene, and why? Roger: Buddhist Bug, the ongoing Buddhist Bug project by Anida Yoeu Ali, has had a really big impact both in Cambodia and internationally, because it has been quite a long ongoing series of works that have really dealt with quite a few different issues, through Anida’s choice of locations for the photographs and videos she’s taken, but have had a really consistent aesthetic throughout all of them. That work has introduced people to Anida’s practice more generally, which is not always just about the photography or video, which I think that work is, and which I think most Cambodian performance works are. Anida’s works are also often about a kind of ephemeral, interpersonal exchange that’s been really important. Secondly would be Khvay Samnang’s Untitled, these are the photos and video from 2011. Again just because of the impact it’s had both here and internationally. Those two things here and internationally, especially in the case of Samnang, really reinforced one another in that artists and people in the community here have an awareness that Samnang’s name is getting bigger and bigger in international circles, and that sort of began with this Untitled work where he’s pouring the sand over himself. That awareness of his international profile builds his profile locally. That body of work has also been really important, and it has lead to lots of other work for Samnang, really following in its footsteps, in terms of the aesthetic approach to the performance. This trope of pouring things over himself has been repeated again and again, his idea of having both photos and video, that document would come out of the performance has happened again and again, this sort of framing of the work, where there’s a performing figure in the centre of the frame and the rest of the frame shows you a landscape, from which derives its meaning, has happened again and again, and these are things that are repeating in Samnang’s work, but that have also been influential in other artists. There are many young artists here who have made work about the issue of sand dredging, or about Boeung Kak Lake, or other things like this, which I think you can trace back to that work. Third would be Tith Kanitha’s Heavy Sand performance, which was in SA SA BASSAC gallery at the end of Khvay Samnang’s exhibition of Newspaper Man, where he filled the gallery floor with sand and he invited a bunch of different artists, dancers and so on to respond to that, to make performance works in that space, playing with that sand. And Kanitha’s work, she climbed a ladder, she poured a whole lot of water all over herself, wearing a swimming bikini, and eventually buried herself in the sand. That made big waves here in Phnom Penh, partly because everyone was there to see it. It was very affecting and powerful to watch, but also because her brother responded to that work really badly, he forbade her from doing such things again, forbade her from ever showing photographs of the work and so on. She’s since forced him to deal with it, to her credit. That also raised for people here about the policing of bodies in performance and our bodies are always gendered, and in this case, Kanitha’s brother’s concern was really the fact that she was exposing her body by wearing only a swimming suit, and this was somehow shameful to him and to her. Hearing this story raised for people, some questions, or some of the stakes around performance that perhaps hadn’t been obvious to people beforehand. Also that work was taken up by curators and writers, but for me what was interesting was also that it was taken up by one academic in particular, Ashley Thompson, who was interested in this work as being a contemporary manifestation of a performance ritual, a ritual of possession, which is like so much in Cambodia, halfway between a kind Hindu-Buddhist tradition and an animist tradition. Kanitha had not thought of this at all, which is often the case when interpretations are suggested of performances. Kanitha wasn’t resistant to this idea, in fact, she was really interested in it, and she embarked on quite a long and interesting conversation with Ashley about this idea. That’s another reason why that performance is on my list, is because of, not just because of the influence or impact it had here or internationally, but also the fact that it points to this various different kinds of conversations that performance can instigate, perhaps better than any other art form at the moment. Annie: The three examples have quite different ways of operating as well in terms of space, territory, and audience, and the importance of documentation, because all three artists approach these questions quite differently. Roger: Super differently but there’re also similarities there as well. Space and the territory are very important to all three artists and all three works, and the documentation is also important in different ways to each of those artists. Anida and Samnang really conceive of the work for its documentation. The documentation and the performance are inextricable. They make those works knowing that they would be seen as videos and as photographs. They make those works hoping that it would be seen by audiences internationally, in big settings, in biennale or museum type settings, in their minds I think when they are conceiving making those works. Kanitha made the performance with only a few days to develop it, and really made the performance for the people in that room. But of course she knew that the camera was there, she saw the camera before she began and she probably could see it while she was performing as well. The fact that it was recorded, led to this whole dispute with her brother. So documentation is not central to Kanitha in a way that it is to Anida and Samnang, but it still was really important to the work. Is the question of audience important to the artist? Yes, but does that mean to allow for audience in their physical space as they’re performing it live? Not necessarily. More so for Kanitha than for Anida and Samnang, but even then the audience extends to the later audience who are looking at the photo and video documentation too, it’s not just the live audience. That audience, in Cambodia and internationally, is conceived as being an audience for performance. Not an audience for photography or video or contemporary art, but an audience for performance as well. Annie: It’s also interesting that the three examples you mentioned all happened during a very short period of time as well from 2012 – 2016. Why do you think these performances have been significant to that scene in Cambodia during that period? Roger: There’s a lot of things about the last five years or even a decade in Cambodia, in terms of the political situation, cultural changes, really rapid changes that you can imagine would give rise, could give rise, or have given rise to performance works that respond to this. But I think really it’s more about artists responding to each other, just as much, or if not more so, than about artists responding to the moment. It’s really more that performance started really recently in Cambodia, recently compared to in other neighbouring countries, and it’s seen as being something new. Artists and audiences here often didn’t have an awareness of performance by artists happening in neighbouring countries, before they started to see performance happening, being done by Cambodian artists in Cambodia. It’s something new and its embraced as a new strange thing, and also it’s something that seems to give the artists doing the performance access to conversations and access to international opportunities like exhibitions and so on. It seems to give artists a certain, what David Teh would call, a currency of being contemporary. This is less important now, but this for sure in the first few years of performance happening in Cambodia, was really central and it was really prominent in artists’ and audiences’ minds, was the idea that performance was seen as being a particularly contemporary way of making art. Or a way of announcing yourself as contemporary. Or making sure you were seen as contemporary by people in the country, and by visiting researchers or curators, so on that we were talking about at the beginning. Annie: Do you think that’s also helped in a way to legitimise the role of performance or the significance of performance as a contemporary form for the other artists? Roger: Yes, I do think so. It’s starting to shift maybe, at the more recent end of that time period. Now just the idea of being a contemporary artist is what’s being legitimised. Now there are younger artists or students who are not doing performance, but who are very much emboldened to enter into the field of contemporary art, or working to become artists, or whatever, because of these performance works that made it visible to them, that made it seem like a viable, legitimate, worthwhile, useful kind of thing to do. So performance definitely made contemporary art as something that got attention. They shifted from just getting attention, as in catching people’s interests, to… Hendrik Folkerts, the documenta curator who came to Cambodia and a few other places in Southeast Asia, and who selected Samnang as one of the two Southeast Asian artists to join documenta, when he came, he was really only interested in asking Samnang about performance, because his personal research interests happens to be performance. When he invited Samnang to join documenta, it was really exclusively to make a performance. So it went really quickly from people like you and me interested in performance, and we come around and ask questions about it, to ‘your opportunity is being given to you because you make performance, and it’s being given to you only so that you do make performance.’ I don’t know what might have happened if Samnang had turned around and said, ‘actually, no I don’t want to make a performance, I want to make a painting or an installation,’ maybe that could have been negotiated, or maybe not. But it probably would never have occurred to him to do that, because this was a commission on that basis, and I think that’s a really interesting and in many ways, problematic phenomenon. I think that happens everywhere, but I think it’s difficult in Cambodia given the nature of infrastructure here, it’s difficult for that to be embedded in a broader ecology of dialogues and conversations in a way that it is in other settings. Visiting curators or outside curators are a much bigger part of artists’ worldview, are much more prominent in the conversations that artists are having here, compared to somewhere like say, Bangkok, where there are lots of curators in that location, and also lots of galleries and other art institutions inside Thailand who are wanting to talk to artists. Here, there are lots of artists talking to each other, there are not so many curators here who are talking to people, and there are not so many galleries or other institutions who are talking to people. So that means that outside people, curators, especially outside, have a much bigger position in artists thinking through and talking through their practices. For an outside curator to say you have to make this performance, has a bigger impact I think, or is sort of problematic in different ways, than it would be if an artist was inside a bigger art scene, I guess. Annie: Back in the roundtables of 2011 and 2014 held at SA SA Bassac the discussions and debates were hinged on the difference between performance art, performing arts, or contemporary. How do you think we can reframe what are the significant contested issues at the moment about performance? Championing performance as being one of the highest art forms in the Khmer tradition is also a way of resisting a focus solely on the temples of Angkor Wat, in that dance is a living tradition, and you can understand why people want to focus their own, and other international audience’s attention not only to something that’s a thousand years old, but also something that continues today. The fact that it’s claimed and widely believed that between 80 and 90 percent of artists were killed in the Khmer Rouge regime, even younger generations, even after 1979, are at least vaguely aware of the process of rebuilding that artists, especially dancers or performers, had to go through following the end of the Khmer Rouge. That argument has to a certain extent been won, and there’s now a greater awareness, or at least, a greater exposure and greater opportunities for Cambodian dance and performing arts forms internationally, and that means that organisations like Amrita Performing Arts, have a new battle to fight, which is to say that performing arts and dance isn’t always traditional, isn’t always in the traditional forms, can also, should also, might also be contemporary. Annie: Then do you think this issue of representing Khmerness, or Cambodian-ness, is still an issue for visual artists from this region, as per the burden of representation? The idea that we should be cautious of being too nationalist because look where it lead us before – that’s not an idea that I very often hear Cambodians express, and it’s certainly not part of Cambodian official culture or education at all. You can understand that cultural nationalism because it grows out of historical trauma, especially the Khmer Rouge. In other ways it’s also really weirdly ahistorical, in that this idea of reviving Khmerness, reviving Khmer art, reviving Khmer traditions, is something that we’re just starting for the first time right now, we’re inventing things from scratch, is ignoring the revival. Firstly it’s ignoring the fact that arts and traditions were kept alive during the Khmer Rouge on fear of death by people, that ten or twenty percent of artists who are believed to have survived, kept their traditions alive and often performing traditions during the regime, under fear of death. To say that we are only reviving things now is to overlook that incredibly brave sacrifice that people made. But it’s also much more so, or just as important perhaps, it’s overlooking also the rebuilding that happened right away after 1979, and this is also a kind of ahistorical amnesia that is partly politically motivated, in a sense that that rebuilding immediately after 1979 was, of course, it was done by Cambodian artists, but with the backing of the new Vietnamese backed government. The new Vietnamese-backed regime invested very heavily, financially but also rhetorically in the arts, immediately from the takeover in 1979, and immediately gave housing to artists before teachers and doctors were given housing in Phnom Penh, in order that they could begin rebuilding these traditions. And that history is forgotten about. So the ‘cultural nationalism’ is Cambodians would share that view that it’s born out of the historical trauma of the Khmer Rouge, but it’s also forgetting a lot of that history that happened immediately afterwards. Annie: There is still a lot of leftover antagonism towards the Vietnamese, so in some sense they don’t even want to acknowledge that contribution, even if it is the co-opting another kind of cultural currency towards strengthening an administration, but that’s not really been acknowledged by anyone that I’ve spoken to, actually. Roger: There are great archival documents from the early 1980s, from the Vietnamese-backed government saying things like, don’t underestimate the importance of art as a means of supporting the revolution, don’t underestimate the power of art to communicate to people. The new regime was very aware that they were unpopular and they were very aware of the importance of arts to Cambodian culture, and its effectiveness in winning them support amongst the population. There was definitely a cynical, or instrumentalising instance to that, but that doesn’t de-legitimise or that doesn’t lessen the effect of the rebuilding of that period, which is important. Of course, Cambodian artists were doing stuff, they were backed by a government which was also Cambodian, but with the Vietnamese backing, so it was still the Cambodians who were doing these things. But coming back to performance as well – the rhetoric at that time and these documents were very much about the arts in general, in the plural sense, and yet the art forms which were most prominent and which were the first to be rebuilt immediately after 1979 were the performing arts. One of the most affecting stories that I ever read in my research was about a professor from the University of Fine Arts, who in 1979, was one of the handful of professors who went around the city trying to gather materials from different artists and professors’ houses, and bring them to the university to kind of, re-establish the university. One guy in particular, his name was Som Samai, and in 1979 he planted mulberry trees inside the grounds of the University of Fine Arts because he knew that mulberry trees take a few years to grow before they can start being used to produce silk. This idea of future-oriented activity where, let’s plant the trees now, so in a few years time we can start to make silk again, and of course what’s the silk for – it’s for costumes for performing artists. It was about the arts, but it was really super focused on performing arts. It took a while for painting or visual arts traditions from before the war, to start to reappear, really. Annie: Were you involved in any of the making of these more recent performance works, could you just tell us a bit more about that? Roger: The roles of observer and participant are more often blurred than we would think, and for sure have been really blurred here for me. I think I’ve been in some way involved in an active, not only observing way, in lots of performances. It’s not something that I would feel embarrassed about or try to play down, in terms of any kind of credibility that I might try to have as an observer or a researcher. That’s been a really rich way for me to learn about artists’ practices, so with some artists. Some performances I’ve literally held out a camera, been one of several people holding a camera, and only ever following the instructions of the artists, but I’ve literally held a camera. I did that for a couple of performances Samnang made in Cambodia and also in Singapore, and for other artists a well. Much more impactful than that have been conversations that have not just been me asking questions in order to learn about an artist’s practice, but really a conversation going backwards and forwards, where I’m also offering suggestions, drawing artists’ attention to other artists or other works that they might want to look at, that they weren’t aware of, or talking to them about ideas or suggesting things to them to read, or whatever, that is impossible to quantify, but that for sure had some kind of a role, not only in me understand the work, but shaping the way that works come about. Annie: Do you that in a way offers in place of an established art system, a kind of crit format, where the works are in development but because you are quite involved, it brings in a lot of the criticality that is not necessarily offered by the university curriculum right now? Roger: While I feel uncomfortable about the disproportionate impact maybe that me and people like me might have, because there’s not a thousand other voices to balance us out, on the other hand I guess the reason why I kept on this way of doing things was really following what artists and others were already doing here, which is there’s a perception that the visual arts education doesn’t offer a space for conversation, isn’t open to new forms like performance, and so there’s really a long-standing tradition here of artists organising their own informal alternatives to education, like this kind of conversation as crit, for sure. I’m following what other people are already doing, absolutely. People will often articulate in terms of education, or wanting to have a certain kind of conversation that is like, a pedagogical kind of conversation. And that’s absolutely not just me, a lot of artists and others have these kinds of conversations that really have a shaping role in artists’ practices, not only in the younger artists either. Things like the workshops that Anida Yoeu Ali ran, with students from the University of Fine Arts, I think they were funded by the French Institute, these had an impact on the students she was teaching, but it also has an impact on everyone else around here, because people were aware of this, and people hear about the kind of things she’s talking about in class, and talk with her about this, and this has an impact that works horizontally as well as vertically. Annie: Something that perhaps on paper looks like a very small event, actually can be a great catalyst for a lot of other things happening. Roger: And that some things have this huge impact, and yet other things that you think would, somehow don’t. You can’t really predict what’s going to have this big impact, and what’s not. Like Seiji Shimoda’s workshops had a really big impact here, whereas Tran Luong’s toothbrushing performance, which happened at around the same time, no one really remembers it, no one’s really aware of it, whereas you’d expect that that would have been really influential on people or had a really big impact here..
Annie: Can you say a little bit more about the workshops or sessions that you’ve been doing with Lyno Vuth? Roger: Yes, Lyno co-founded with me, but as an independent thing, it’s not officially part of SA SA art projects, or SA SA BASSAC – called Vetika Brovoat Selapak Art History Forum, started in 2015. We really started it after a whole lot of other talks that happened about art history, issues to do with art history, noticing that there was a really big audience for these kinds of talks, and that audience was really engaged and hungry for more. One of the things that inspired it before we started it was during the Van Molyvann project, Summer School, a two-month intensive programme where a bunch of Cambodian and American students worked together. During that, I organised a talk on architectural history, and with Simon Soon from Malaysia and Thanavi Chotpradit from Bangkok to come and talk about architectural history in all these respective cities. More than 100 people came, and it was standing room only, and people had to be turned away, to listen to three academics talk about three hours about architectural history. And one of the people in that audience, he went on to change his topic for his Masters thesis, in response to some of the things that were talked about in those talks. Others followed up with emails asking for suggested reading lists, and so on. It wasn’t just the size of the audience but also that they actively engaged and were interested in these art-historical questions, that inspired Lyno and I to create the forum. We framed it as being about ‘Cambodian and other art histories,’ and we had events at the department of performing arts which belongs to the ministry of culture, at Java, at Bophana, at SA SA BASSAC and at SA SA art projects. You can see that performance had been there in a lot of those talks, even though that wasn’t at all how we framed or how we conceived the thing. It was meant to be a series of talks about art histories, not about performance. But I guess that shows you somehow that these questions are prominent in our minds and/or the minds of the Cambodians who are coming to these talks. In terms of this being a standing in for an education system that is seen as being lacking, I think it began with a lot of excitement and energy in that idea, and I think that has kind of dissipated. The number of people who come to the talks that we organise has shrunk, the extent to which people who are engaged is less now than it was before, and I see that trend happening in a lot of different fields. I personally have run out of energy for having the regular workshop-style discussions with students from RUFA or young artists. A lot of other people are running out of energy or running out of time for this as well. There was a real moment of excitement and energy around conversation as a form of education, and that has perhaps dissipated for now. Maybe it’ll come back, maybe other people will reinvigorate it, but I think that moment has passed or is passing now. There’s not money, and there’s not a permanent home for it, and the encouragement comes out of the conversations rather from an institutional source. I would sort of echo the words of Lyno on this question of sustainability, that maybe that’s not such a bad thing? Maybe that just means that for a while that was really necessary, and its necessity was sort of buoyed, was made obvious, and the energy was buoyed by the enthusiasm of the people who were coming out along, but maybe that need is no longer there, and so therefore, its fine that it hasn’t been able to sustain itself, or be sustained, because things are only sustained when they’re necessary. For things to be temporary, and for things to be constantly changing, it’s fine. I’ve always been very careful not to think about the infrastructure in Cambodia in terms of a lack or in terms of shortages, because there is an amazing infrastructure here. It’s just different from the infrastructure in Thailand, Vietnam, in Singapore, or anywhere else. One reason why I’m interested in this idea of resisting the idea of sustainability, that Lyno talks about, like okay things were necessary for a couple of years, so they may sustain themselves for a couple of years, but then the energy dies, because the need has moved on. That for me is attractive because it’s a way of not thinking of, ‘oh if only there was money, just pay people to continue to run these educational sessions and it would have continued.’ Maybe it would have, but maybe it’s fine that it didn’t, because a lot of the problems in the education system, or the perceived problems, shortcomings of the education system here, come with the fact that, there is money and infrastructure that supports a way of teaching that is no longer thought of relevant. That’s ossified. And to bring it back to performance, people think that it doesn’t cost money to make a performance work, whereas it does to make a painting or whatever, but I’m not sure it’s really true, because I think most performances here have happened either a), because of a commission, or b) because of an expectation of a commission-like sort of support structure or patronage. Annie: As you work closely with SA SA Art Projects, and you’ve worked with SA SA BASSAC, and from time to time you’ve collaborated also with Java, do you think the ecology at the moment, how it functions, do you think they have very specific roles in the way that they are encouraging performance, or encouraging contemporary art to develop? Roger: I would think of it in terms of personalities and individuals, that because there’s a small number compared to the number of individuals and support in other industries in Cambodia, and compared to the number of individuals who would be involved in the contemporary arts ecology in a competent sized city in Southeast Asia, or Australia. That means that what each individual does have a really big impact. SA SA BASSAC is particularly prominent in connecting artists to international audiences.That’s something that all art spaces have been interested in and have done well, but SA SA BASSAC has had particular success in being a go-to place for visiting curators, and therefore shepherding a lot of local Cambodian artists into international exhibitions and so on. But because of a particular interest in the character of Erin Gleeson, who has really been the driving force behind SA SA BASSAC since it opened, she is really interested in curatorial conversations, and the conversations in artists, and she’s not really interested in sales and the market, and the effects of that now are really clear, that artists can be on residencies and have exhibitions all over the world, and yet they haven’t been really connected to an international market. There are international institutions, maybe, who have acquired artists’ works, and once they have them, they often stop, because they’ve got them. That hasn’t been matched by collectors, internationally, buying artists’ works. This is a problem for artists now, there’s a whole generation of artists who have an incredible looking CV, and yet don’t make any money from their artwork, because SA SA BASSAC didn’t succeed in connecting to an international market, purely because that wasn’t the priority or focus of the individual involved. And you can say the same time at Java as well. Dana Langlois at Java has recently stopped representing artists after a long time of doing so. And I don’t blame her at all, I completely applaud her decision. It’s making her a lot happier and making her being able to focus on the things that she’s really good at with Java, like this new initiative called Creative Generation that offers opportunities for artists under 25 years old, really young students and super young artists, giving them a forum to share their work and an opportunity to talk about their work. That’s happened because she’s able to focus her energies on them, instead of representing artists. Another example about the gap that comes with personal interests or personal priorities, the fact that all or most of the contemporary arts institutions have all been focused on the idea of independence. That is, independence from the government. No one has been particularly focused on forming relationships with the ministry of culture and arts, and therefore when people do turn their attention to wanting those relationships, no one has been particularly successful at it. Dana is now spearheading an initiative with a number of other people to try to encourage the national museum here to dedicate a space to contemporary and modern art, and that conversation began with a lot of excitement, but has now kind of stalled, because no one has really been successful in getting in dialogue with the museum or ministry or getting them involved. Similarly when SA SA Art Projects has tried to connect with students from RUFA, they only ever do so only on a one-to-one individual kind of level, but never succeeded in having any presence in RUFA as an institution. When Dana, for several years ran the Our City festival, it always tried to have a connection with official institutions, and again that never led to an equal partnership, it was always something that was driven and propped up and led by the Java side, and by other Cambodians who Dana was working with. This is a problem that comes up, not from anything that’s systemic, but just from the fact that these are the interests and priorities of the individuals that are involved here, that are not to be working with the ministry or the government, and therefore that’s a total gap, absence, lack. Annie: If there was something that if you would ask or comment on performance, from your perspective and experience, what would it be? Roger: One thing we haven’t touched on is around censorship, that Cambodia is also sort of weird and different from a lot of other places nearby, in that in neigbouring countries there’s a lot of censorship, you know, you have to apply for permission to do something, and whereas in Cambodia there hasn’t really been a case in living memory of a visual arts event being shut down or censored officially. The censorship that happens in Cambodia, insofar as it happens, is thought of as self-censorship, which is a kind of problematic idea. This is important to performance, because a lot of the grand narrative around performance, elsewhere in Southeast Asia, is around performance being a way to evade censorship, or a form that has come up in order to be particularly politically oppositional or critical in a way that other forms are not able to be because it can fly under the radar. It’s ephemeral and there’s not a long-lasting trace of it. That just hasn’t happened here, and I have no idea why that’s the case. I can speculate why there hasn’t been an official censorship. The government just doesn’t particularly care about contemporary art. They don’t see it as a threat, they don’t see it as having enough people or having enough force behind it that is something that needs to be policed, unlike say, English and Khmer language media, which is being cracked down on particularly strongly right now. But why artists have not formed an oppositional perspective that particularly locates in performance? I’m not sure. We were talking about artists not reading before. There’s also not really all about the lessons that could be learned between visual and performing arts. Whereas there’s a lot of visual arts and performing arts linkages in terms of friendship and audiences and so on, there’s really not between artists and intellectuals, like university academics, there’s really not between artists and activists, like the people who go to jail for protests, or the people who devote their lives to organisations around human rights or freedom of speech or whatever. You never see activists at exhibitions and you never see artists at protests. You also never see academics at exhibitions, and you never have artists who come to a conversation with a whole bunch of ideas that they got from last night with such and such professor. These are sort of peculiarities to the ecology or infrastructure here, which I think also shaped the way how contemporary art in general and performance in particular happens. There’s not an intersection between them. Those are the things that I would say are peculiar, are notable, interesting to me that for sure, affect the development of contemporary art, and performance in particular.